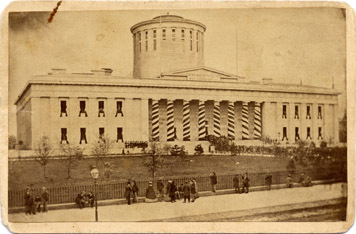 This photograph shows the Ohio statehouse decorated for President Abraham Lincoln's funeral in April 1865. A sign above the entrance reads, "With Malice to No One, With Charity For All." Lincoln's funeral procession made several such stops on its journey from Washington D.C. to Lincoln's final resting place in Springfield, Illinois. More than 50,000 mourners paid their respects during the six and a half hours that Lincoln's body lay in state in the rotunda of the Ohio capitol. 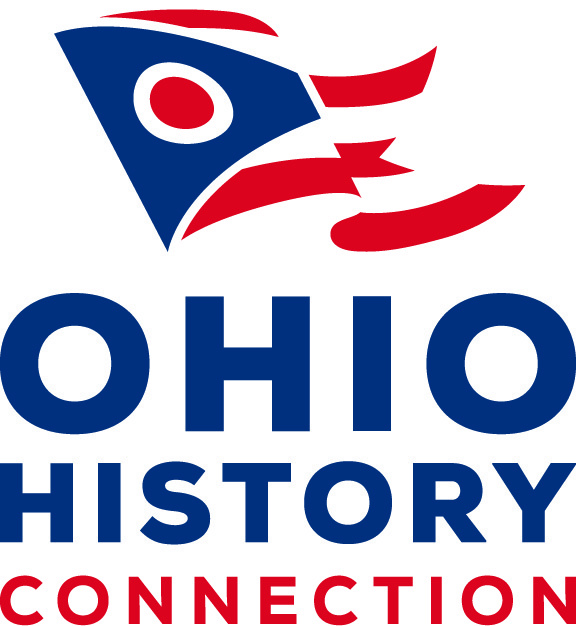 Use of this item for research, teaching, and private study is permitted with proper citation and attribution, as Courtesy of the Ohio History Connection, Abraham Lincoln Presidential Collection . Reproduction of this item for publication, broadcast, or commercial use requires written permission. For permission, please see this web page.